What will the next four years look like if the housing market impacts your vote for president? GBSS and the Closing Table Blog examine the options. Back in May, Zillow surveyed more than 100 economists, real estate experts, and academics in the United States about their predictions for home value growth in the next four years. By and large, the respondents forecasted a 3 to 4 percent increase in home values between 2016 and 2020. Broken down by year, the panelists’ estimations for the rate home value appreciation would go from 4 percent in 2016 to 3.4 percent in 2017, just over 3 percent in 2018 and 2019, and 2.8 percent in 2020. So while the rate of increasing value will slow from our current rate, home values are expected to close out between 10 and 24 percentage points higher in 2020 than in 2016. Not surprisingly, these estimates changed when the surveyed panelists were asked about Republican nominee Donald Trump and Democrat nominee Hillary Clinton. Of the panelists expressing an opinion, 45 percent reported that a Trump presidency would very negatively or somewhat negatively impact their expectations for future home value growth. Thirty-three percent reported that, as president, Hillary Clinton would have a somewhat or very positive effect on their home value forecasts. Sixteen percent of respondents said their forecast expectations would be impacted somewhat or very positively if Trump were elected and somewhat or very negatively if Clinton were elected. In July, Trulia released results from its own housing survey. According to 39 percent of respondents, housing prices are likely to rise a little or a lot if Trump were elected, as compared to 29 percent of respondents saying the same should Clinton be elected. Trump has voiced the possibility of eliminating the U.S. Department of Housing and Urban Development if he is elected. HUD is the primary federal source of funding for affordable housing. Interestingly, an increase in home values is not necessarily an indicator that the housing market is in good shape. Trulia points out the importance of considering what (or who) would have the most positive net effect on the housing market, meaning that home values could increase with certain policies but that the market as a whole might not be thriving. Foreclosure auctions in Massachusetts were up 44 percent over the first seven months of this year, as compared to the same period in 2015. Massachusetts passed laws in 2007, 2010, and 2012 that were intended to reduce the number of foreclosures by extending the period that a homeowner has to pay off a loan. 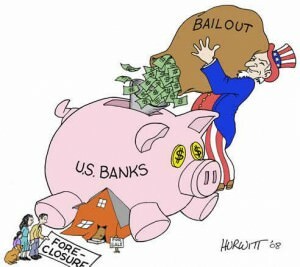 When these laws were passed and regulations were put in place, most major banks delayed foreclosures. Because the foreclosure process takes about two years, the cases that were backlogged in 2012 are just now being completed in 2016. Grant programs like HomeCorps, which is funded by a 2012 multistate settlement with the country’s largest mortgage services related to foreclosure practices, number among the state government’s efforts to address foreclosures. Homeowners at risk for foreclosure have the right to ask their lenders whether options for avoiding foreclosure are open to them. In addition, homeowners can speak with housing counselors approved by the US Department of Housing and Urban Development at no charge to explore alternatives to foreclosure. For homeowners faced with a financial hardship, such as loss of income, divorce, military service, medical bills, or business failure, short sales are a viable option in place of the costly and time-intensive foreclosure route. At Greater Boston Short Sales, our attorneys work diligently to ensure that buyers, sellers, and lenders feel comfortable with the short sale process and outcome. To schedule a free consultation with us, please send us an email or call [617-264-0376]. In June 2016, 17,711 homes were on the market in Massachusetts, the lowest inventory recorded since 2004. The number of listings dropped 28 percent in relation to June 2015, says the Massachusetts Association of Realtors (MAR). Scarcity is good for homeowners looking to sell as demand right now is exceptionally high. With buyers competing for very few properties, median home prices are up by 2.2% and median condominium prices are up by 6.0% (as compared to June 2015). To keep up with the latest in Massachusetts real estate news, add Closing Table Blog to your blogroll and find us on Twitter at Greater Boston Short Sales and Greater Boston Title & Escrow. The Senate approved a bill late Tuesday that would retroactively extend over 50 expiring tax provisions for one year, including the Mortgage Debt Relief Act, a 2007 law that shields distressed homeowners from paying taxes on any mortgage debt forgiven in a short sale. The Senate approved the bill 76 to 16, which extends the provisions until Dec. 30 of 2014 (the one-year extension is retroactive). The House passed the bill 387 to 46 on Dec. 3. While the one-year extension provides thousands of homeowners who completed a short sale in 2014 with tax relief, many homeowners may miss out on the tax benefits as this appears to be the last extension. At one point, House and Senate lawmakers were close to a deal on a two-year extension. But the White House objected because key business tax provisions were given permanent status while others affecting low- and moderate-income households would still have had to be extended each year. The one-year retroactive extension could be a set-back for the real estate recovery as lenders still have a large inventory of delinquent accounts. The bill ensures underwater borrowers that sold their homes in a short sale in 2014 will not be penalized. The bill falls short, however, in that the extension is only good through the end of 2014. What is important to note, however, is in a recourse jurisdiction, such as Massachusetts, the homeowner still gets taxed on the forgiven debt in a deed in lieu of foreclosure transaction. In a foreclosure, the homeowner won’t incur tax liability, however, they will likely end up owing the lender the difference between what was owed on the loan and the net amount the lender receives following foreclosure, referred to as the deficiency amount, as the result of a post foreclosure lawsuit filed by the lender. Freddie Mac recently announced uniform short sale servicing guidelines with the introduction of the “Freddie Mac Standard Short Sale.” The Freddie Mac Standard Short Sale is the government’s latest attempt to make the short sale process more efficient for loan servicers, buyers, sellers and real estate professionals. The Standard Short Sale means faster approvals, requires the lenders to waive their deficiency rights against the homeowner and, most important, provides uniform guidelines regarding cash contributions, promissory notes and relocation assistance incentives. In short (no pun intended), the Freddie Mac Standard Short Sale effectively takes the guesswork out of all Freddie Mac short sales and clears the way for more distressed homeowners to avoid foreclosure. 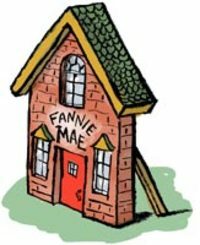 The Federal Housing Finance Agency, who acts as Fannie Mae and Freddie Mac’s conservator, issued identical Fannie Mae short sale guidelines in an effort to standardize the short sale approval process for all loans owned or backed by the government sponsored enterprises. Fannie Mae and Freddie Mac own or guarantee a majority of the outstanding mortgages in the United States. The Fannie Mae and Freddie Mac short sale servicing guidelines remove obstacles on all government backed loans by streamlining the short sale approval process so more homeowners can avoid foreclosure. 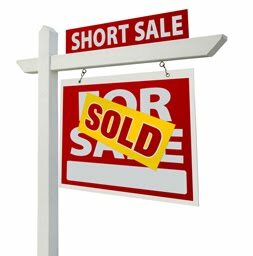 The short sale servicing guidelines, which went into effect November 1, 2012, are intended to provide lenders and loan servicers with uniform short sale procedures making the short sale transaction faster, easier and more transparent. 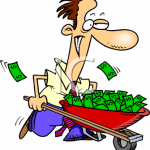 This past March, Money Magazine claimed that the real estate industry was back. Home Prices had increased in 92 of the country’s largest 100 metropolitan areas, interest rates were in the 3’s and the number of homes for sale was at the lowest level in a decade. While interest rates have risen more than a point since March, many markets still expect price increases to last well into 2014. As prices increase, the negative equity numbers decrease. More and more people are looking to take advantage of the favorable market conditions and either “trade up” or sell a home they were unable to sell just last year. In addition, many homeowners who were previously unable to qualify for a mortgage are looking to purchase once again. If you are in the real estate industry, it is time to familiarize yourself below with the term “boomerang buyer” and how soon one can purchase a home following a short sale or foreclosure. -Three Years for an FHA loan. Homeowners can now purchase a home following a short sale or foreclosure in as little as 12 months. The majority of these boomerang buyers, however, won’t qualify for financing for two to four years depending on your credit score and down payment amount. The important take away from the new financing requirements is that Boomerang buyers are going to account for a large portion of buyers in the near future. So prevalent, that real estate professionals cannot afford to ignore this segment of the market. According to Massachusetts Lawyers Weekly, real estate attorneys who perform “witness-only” closings on behalf of settlement services companies may avail themselves to a Board of Bar Overseers complaint. The Real Estate Bar Association (REBA) said it plans to begin filing BBO complaints this fall, the latest in a series of continued and diverse tactics the group has employed over the years to combat the alleged unauthorized practice of law in the course of real estate transactions. Massachusetts is one of a handful of states that requires an attorney’s presence and substantial involvement in real estate closings,settlements and refinance closings. For years, REBA has fought against companies that use non-lawyers to conduct such work and/or limit the attorney’s role to that of a witness or notary public at closings. While critics claim REBA’s sole interest is to maintain and protect business for its members, the association contends it is shielding the public from shoddy work, the unauthorized practice of law, and the potential execution of invalid legal instruments. REBA’s biggest victory in the struggle came two years ago in its lawsuit against National Real Estate Information Services, a Pennsylvania-based company that offered services related to real estate closings nationwide. According to REBA, while NREIS hired Massachusetts lawyers to attend closings, notarize documents and get them recorded, the attorneys had no control over the activities necessary to ensure that the real estate was properly conveyed. REBA initially lost the suit in U.S. District Court, but on appeal the 1st U.S. Circuit Court of Appeals certified two questions to the Supreme Judicial Court. While the SJC declined to rule on whether NREIS had engaged in the unauthorized practice of law, claiming it lacked enough information to make a determination, the justices affirmed that the conveyance of real property constitutes the practice of law and requires more than the mere presence of an attorney. While tasks such as performing a title examination, preparing a title abstract, preparing “mortgage-related forms,” and issuing title insurance do not constitute the practice of law, according to the SJC, other steps, such as drafting a deed and determining the marketability of title, do. The court ruled that a real estate closing “requires the substantive participation of an attorney” and that “a closing attorney’s professional and ethical responsibilities require actions not only at the closing but before and after it as well.” Consequently, REBA has seized on the 2011 SJC ruling to justify its stance on attorney-involvement in real estate closings and used it to convince other alleged wrongdoers to modify their practices. The professional responsibility questions that arise in conjunction with real estate closings, and particularly those relating to unauthorized practice, can be thorny and difficult. A number of national title insurance underwriters — including Old Republic Title, Stewart Title, Fidelity National, Chicago Title and Commonwealth Land Title — have instructed their agents to adhere to the SJC’s decision. REBA even filed additional state lawsuits against settlement services companies that resist and, for the first time, started naming local attorneys that work with them in lawsuits filed last year. Many large out-of-state title companies have already ceased doing business in Massachusetts and the recent news regarding witness closings will undoubtedly cause large real estate ‘closing firms’ to conform their closing practices in accordance with Board of Bar Overseers’ caution against witness closings. As a service to the Bar, the Office of the Bar Counsel operates an ethics helpline to discuss ethical questions that confront attorneys. An attorney who wishes to discuss an ethical question with an Assistant Bar Counsel can call (617) 728-8750 between the hours of 2:00 and 4:00 on Monday, Wednesday, and Friday. Fannie Mae announced new short sale guidelines this past August in an effort to streamline short sale transactions. The Fannie Mae short sale guidelines, which went into effect November 1st, are designed to simplify the short sale approval process for all loans owned or guaranteed by Fannie Mae. According to the Federal Housing Finance Agency (FHFA), who oversees both Fannie Mae and Freddie Mac, these government agencies back three out of every four residential mortgages in the United States. The new Fannie Mae short sale guidelines have been successful in that they have taken the guesswork out of many aspects of the short sale transaction. According to the Fannie Mae short sale guidelines, qualified homeowners no longer need to be delinquent on their mortgage in order to be eligible for a short sale, approval timeframes have significantly improved, and all lenders are required to waive deficiency rights against the homeowner. This does not, however, mean that the Fannie Mae short sale guidelines are an unmitigated success. Perhaps unintentionally, the new guidelines have resulted in higher lender appraisals, more frequent requests for cash contributions, and the elimination of lender paid third-party short sale processing fees. I examine below the effect of the new Fannie Mae short sale guidelines on homeowners, lenders, servicers and real estate professionals. Prior to November 1st, 2012, Fannie Mae did not permit lenders or servicers to participate in short sales unless the borrower was in “imminent threat” of default. Imminent threat was narrowly defined as being 31 days or more delinquent on your mortgage payments. Many homeowners, therefore, were told they could not complete a short sale unless they stopped making mortgage payments. Under the new Fannie Mae short sale guidelines, however, a borrower may be current on their mortgage and still satisfy the imminent threat of default requirement as long as they have a qualified hardship. Qualified short sale hardships include the death of a borrower or co-borrower, divorce or legal separation, illness or disability or a distant employment transfer or relocation. This development cannot be overstated. The Fannie Mae short sale guidelines finally provide a definitive answer to the question of whether a homeowner must stop making mortgage payments in order to be eligible for a short sale. As a result, qualified homeowners are now eligible for a Fannie Mae short sale without missing any mortgage payments. This change is important because missed mortgage payments, not the actual short sale event itself, determine how a short sale affects your credit score. According to the new guidelines, a qualified homeowner may complete a short sale without ever missing a mortgage payment, which, in turn, won’t negatively affect their credit score. The Fannie Mae short sale guidelines do clarify, however, that a homeowner must wait two years following a short sale in order to obtain another government backed mortgage loan. In comparison, a homeowner must wait up to seven years following foreclosure and seven years after a bankruptcy. Perhaps the most important effect of the new Fannie Mae short sale guidelines is that lenders and servicers are now required to waive all deficiency rights against the homeowner. As a short sale negotiator, my primary objective is to get the offer approved and get the lender to release the homeowner from all debt obligations. By waiving their deficiency rights, the lender is releasing the homeowner from their legal obligation to pay back the entire mortgage note balance. The waiver of deficiency rights should not be confused with short sale tax consequences. Once the lender agrees to waive their deficiency rights, they issue a form 1099c to the homeowner. The onus is then on the homeowner to prove to the IRS that they qualify for a recognized tax exemption, such as the Mortgage Debt Relief Act 2007, so they are not taxed on the cancelation of debt income. Gone are the days of negotiating a short sale for 3-6 months only to find out at the last minute that the lender would not waive their deficiency rights. This was the ultimate deal killer. Although a major development, it does not come without its disadvantages. Fannie Mae will waive their right to pursue deficiency judgments against the homeowner in exchange for a financial contribution when a borrower has sufficient income or assets to make a cash contribution or sign a promissory note at closing. Fannie Mae requires lenders to waive their deficiency rights against the homeowner following a short sale. 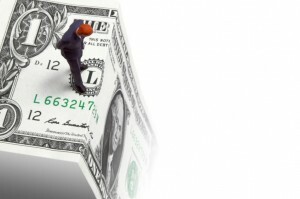 The new Fannie Mae short sale requirements set forth the “financial means test” in order to determine whether the homeowner has the financial ability to “share in the loss.” The financial means test takes into account the homeowner’s cash reserves as well as their future debt-to-income ratio. The loan servicer will review the borrower’s monthly income and expenses in order to calculate his or her debt-to-income ratio. More often than not, I am finding that solvent homeowners are being asked to make a cash contribution or sign a promissory note at closing under the new Fannie Mae short sale guidelines. Contributions can be as little as $1,000, and most lenders allow the cash contribution to be paid by third-parties. In the past, lenders and servicers could not approve a short sale if the homeowner subsequently purchased another property. This policy affected many homeowners who innocently purchased a new home following an employment relocation or job transfer only to later discover that they couldn’t sell their previous home due to the market collapse. According to the new Fannie Mae short sale guidelines, the servicer will review a borrower’s credit report for any new mortgage loans during the term of the borrower’s financial hardship. If, during the term of the hardship, the borrower purchased another primary residence, the servicer can approve the short sale without Fannie Mae approval only if the hardship was due to distant or new employment transfer (at least 50 miles away) or receipt of PCS orders. If the borrower has a hardship other than those listed above, and has purchased another residence during the term of the hardship, the servicer must submit the short sale request to Fannie Mae for written approval. While the new policy likely excludes homeowners who voluntarily upgraded to a larger home before the market collapsed, it no longer penalizes homeowners who purchased another home following a job relocation. The new Fannie Mae short sale guidelines streamline documentation requirements for all lenders and servicers. Fannie Mae significantly reduced the documentation required to complete a short sale, including requiring no documentation of a borrower’s hardship if they are 90 days or more delinquent and have a credit score lower than 620. The no proof of hardship policy removes barriers for those homeowners who are most in danger of foreclosure and increases servicer efficiency in completing a short sale. Pursuant to the Fannie Mae short sale guidelines, all servicers will have the delegated authority to approve and complete short sales on all loans owned by Fannie Mae as long as they conform to the new requirements. It is also important to note that this delegation of authority includes agreements with mortgage insurance companies. Mortgage insurers provided lenders with insurance polices against homeowner default in exchange for collecting monthly premium payments. When the market collapsed, mortgage insurers weren’t able to pay all of the insurance claims so they successfully negotiated settlements with Fannie Mae and Freddie Mac. Prior to these settlements, independent short sale approval was required from mortgage insurers on all loans with mortgage insurance. In contrast, the new short sale guidelines enable lenders and servicers to approve short sales without requiring independent approval from underlying investors and private mortgage insurance companies. By consolidating all short sales into a uniform program and granting delegated approval authority, the new short sale guidelines make it easier for lenders and servicers to process all short sale requests, regardless of whether the loan has mortgage insurance. Fannie Mae offers lenders and servicers financial incentives for approved short sales. Under the Fannie Mae short sale guidelines, the US Treasury provides incentive payments to servicers and lenders who comply with the new short sale requirements. In the past, servicers unilaterally prevented short sale approval because they made their money by “servicing” the loan on behalf of lenders or investors and had little incentive to approve the short sale. Apparently, the new incentives are substantial enough to get the lenders, servicers and underlying investors on the same page regarding the objective of the transaction-getting the short sale approved and avoiding foreclosure. Fannie Mae now limits subordinate-lien payments to $6,000. Previously, subordinate lien holders often attempted to negotiate higher payments in an attempt to mitigate their losses. The servicer will now be able to offer the maximum payment of $6,000 to all subordinate lien holders in order to facilitate the transaction. In setting a maximum payoff amount, Fannie Mae removed the guesswork by standardizing the short sale transaction and requiring all subordinate lien holders to accept a uniform payout amount on every transaction. Getting first and second lien holders on the same page regarding total payoff amounts is a major step forward in improving short sale approval time-frames because subordinate lien holders no longer have the proclivity to delay the short sale approval in hopes of obtaining a higher payoff. The streamlined procedures and uniform payoff requirements should make the approval process more efficient for both lenders and loan servicers. Lenders and servicers now have clear and consistent guidelines making it easier to process short sales because the government has consolidated all existing short sale programs into a single program. Lenders no longer have to keep track of the various program requirements which led to widespread confusion and multiple requests for documents. The end result should be a a more transparent short sale process with quicker approval timeframes and more short sale approvals. The Fannie Mae short sale guidelines have officially taken (most of) the guesswork out of the short sale transaction for real estate professionals. In the past, the burden was on the third-party short sale negotiator to first determine whether the homeowner qualified for a short sale only to hope that the lender agreed. Often times the loan would be submitted to the lender’s proprietary short sale program only to be removed and re-submitted as a government short sale. This is no longer the case because lenders, servicers and investors are all on the same page due to the single-track program and the uniform eligibility requirements should improve short sale approval timeframes. Fannie Mae no longer permits third-party short sale negotiation fees to be paid by the lender on the HUD settlement statement. Honestly, lenders and investors have never been on the same page regarding third-party negotiation fees so, on the one hand, it is nice to finally have a definitive rule in place. On the other hand, I find it curious that the investors are unwilling to compensate the individual who is the driving force behind getting the transaction closed. Fortunately, Fannie Mae still offers to pay the full real estate commission as well as all customary seller paid closing costs on behalf of the seller. Perhaps the most controversial development, as well as the most frustrating, is Fannie Mae’s minimum net proceeds amount required on all short sales. 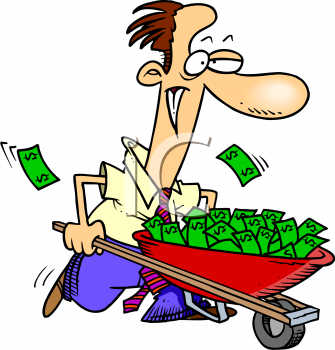 Most lenders send a local real estate agent to the property to complete a Broker Price Opinion (BPO). In the past, the BPO figure was used as the benchmark value against which the short sale offer was measured. Under the new Fannie Mae short sale guidelines, however, the investor is demanding a “minimum net proceeds amount well above the lender’s BPO value. The minimum net proceeds amount is derived from the loss Fannie Mae is willing to take on the transaction and has very little to do, if anything, with the BPO value. Fannie Mae has taken a number of steps to make the short sale process more efficient, including implementing a Short Sale Assistance Desk to help real estate professionals in targeted markets work out challenges in individual short sales, requiring servicers to complete short sale evaluations within 60 days and making military families who receive Permanent Change of Station orders eligible for a short sale. If you are a Homeowner struggling to make your payments and considering a short sale, visit www.knowyouroptions.com to determine whether Fannie Mae owns your loan. The American Taxpayer Relief Bill extends The Mortgage Debt Relief Act through 2013. On January 1st, 2013 the U.S. Senate overwhelmingly passed legislation to avoid the so-called “Fiscal Cliff” by a vote of 89-8. The bill, referred to as the American Taxpayer Relief Act of 2012, avoided draconian sunset tax provisions that were scheduled to take effect after 2012 under the Bush-era tax cuts. The U.S House of representatives quickly approved the bill by a vote of 257-167. The Taxpayer Relief Act was immediately criticized as falling short of the great tax bargain envisioned during the November elections. While political pundits mostly panned the legislation for being mostly a stop-gap measure, the legislation is absolutely necessary for the recovery of the U.S. housing industry. Specifically, the Taxpayer Relief Act includes an “extender” to the Mortgage Debt Relief Act of 2007, a provision that allows struggling homeowners to avoid paying taxes on the cancelation of indebtedness income following a foreclosure, short sale or loan modification of their primary residence. The Mortgage Debt Relief Act of 2007 enables homeowners to exclude any canceled debt from being taxed as income as long as the indebtedness was incurred on your “qualified principal residence.” Had the extension not been granted, millions of distressed homeowners would have had less incentive to pursue a loan workout or short sale because the forgiven debt would have been taxed as income. Admittedly, the extension of the Debt Relief Act is not the panacea to the sluggish home prices and poor quality of inventory, but the tax relief will undoubtedly aid the housing recovery in 2013 because it will allow homeowners who struggle to keep up with their mortgage payments, after having already experienced declining home values, to avoid further financial penalties following a foreclosure, short sale or loan modification. In general, when a creditor cancels debt, such as unpaid balances on student loans or credit cards, the forgiven amounts are treated as ordinary, taxable income under the Internal Revenue Code. Following a short sale, the Debt Relief Act exemption is triggered when a lender agrees to forgive the homeowner from paying back the remainder of their loan in consideration of a short payoff of their primary residence indebtedness. This amount, known as the loan deficiency, would otherwise be taxed as ordinary income. The entire short sale sale industry, and the current housing sector for that matter, is largely dependent upon the tax exemption afforded by the Mortgage Debt Relief Act because the IRS does not treat the canceled debt as income. As a result, Congress’ last minute agreement to avoid the fiscal cliff will directly aid the housing recovery in 2013 because homeowners will still be able to modify their mortgage and short sell their primary residence without incurring additional tax liability. It is important to point out, however, that the Mortgage Debt Relief Act does not provide tax relief if you short sell an investment property or a home that is no longer your qualified principal residence. Qualified principal residence indebtedness is limited to forgiven or canceled debt for loans under $2 million used to buy, build or substantially improve your principal residence, or to refinance debt incurred for those purposes. Thus, even debt incurred as a result of a refinance loan will qualify for this exclusion, but only to the extent that the principal balance of the old mortgage would have qualified. In other words, if the debt forgiven was a result of a short sale of your qualified principle residence, and you never refinanced, you will qualify for the tax relief. If, however, you took out a refinance loan on your principal residence, you will qualify for tax relief only up to the principal amount of the original mortgage. This is a very important consideration and one that is often overlooked by many so-called short sale experts. As previously stated, the most common tax exemption following a short sale is the qualified principal residence exception of the Mortgage Debt Relief Act. Some recourse states, however, such as Massachusetts, do not recognize the Mortgage Debt Relief Act. Homeowners, therefore, need to seek out other recognized tax exemptions, such as proving insolvency or filing for bankruptcy, in order to avoid being taxed on the debt forgiveness following a short sale. On the other hand, some short sale experts and tax professionals contend that short sales never result in tax liability, regardless of where you live or whether it is your primary residence, so long as your taxes are prepared properly. As a short sale facilitator, I don’t even attempt to speculate on the tax consequences of a specific short sale transaction. I always make certain that the seller is represented by an experienced attorney as well as encourage them to seek the advice of a licensed tax professional. In general, I always assume that a short sale will result in tax liability unless the homeowner qualifies for one of the recognized tax exemptions. Regardless, even if you think you qualify for a tax exemption, all homeowners should consult with a licensed attorney and a tax professional prior to agreeing to a short sale. Even though many sellers don’t qualify for the tax relief, the extension of the Mortgage Debt Relief Act is absolutely necessary for the housing industry to recover in 2013. By extending the Debt Relief Act, the government is sending a message to lenders, distressed homeowners, and real estate professionals that short sales are the preferred method to assist homeowners in getting rid of a mortgage they can no longer afford. The tax exemption, along with lender incentives, encourage homeowners to be proactive about avoiding foreclosure. Fewer foreclosures will help stabilize home prices and less homeowners in default will mean a decrease in the shadow inventory. Admittedly, not all professionals agree as to whether a short sale results in tax liability, and the waters can become rather murky the more you navigate through state-specific laws, recourse jurisdictions and the sale of investment properties or non-purchase money mortgages. If nothing else, however, the extension of the Debt Relief Act will enable homeowners to sell their primary residence at a loss without incurring thousands of dollars in tax liability while at the same time allow lenders to get rid of their non-performing loans. As tax season approaches, and more importantly, the expiration of the Mortgage Debt Relief Act of 2007, it is important to review the tax consequences following a short sale. In general, the IRS will treat any canceled debt, such as forgiveness of a mortgage loan, as taxable income. Thus, if you live in a recourse state, such as Massachusetts, the only way to avoid tax consequences following a short sale is to qualify for a tax exemption. The most common exemptions are insolvency and bankruptcy. To prove insolvency, your total debts have to be greater than the total fair market value of your assets. 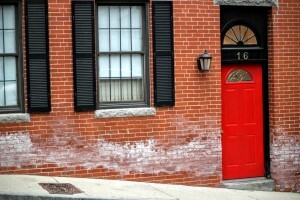 A lesser known exemption, and one that is due to expire at the end of 2012, is the Mortgage Debt Relief Act of 2007. According to the Debt Relief Act, a homeowner may exclude the forgiven debt as taxable income if you can prove to the IRS that the indebtedness was incurred on your “qualified principal residence.” Most homeowners qualify for tax relief under the Debt Relief Act. Keep in mind, however, that not all states recognize the Debt Relief Act and you should always check with a qualified tax professional prior to agreeing to a short sale. The following paragraphs will explain why the IRS considers forgiven debt as taxable income and how to qualify for a tax exemption following a short sale. Qualified principal residence indebtedness: This is the exception created by the Mortgage Debt Relief Act of 2007; The Act applies only to forgiven or canceled debt used to buy, build or substantially improve your principal residence, or to refinance debt incurred for those purposes. The maximum amount you can treat as qualified principal residence indebtedness is $2 million or $1 million if married filing separately. The Debt Relief Act expires at the end of 2012. The Mortgage Forgiveness Debt Relief Act of 2007 is the most common exception to the rule that canceled debt is taxable income. According to the Debt Relief Act, taxpayers may exclude debt forgiven on their “qualified principal residence” if the balance of their loan is $2 million or less. Qualified principal residence indebtedness is limited to forgiven or cancelled debt used to buy, build or substantially improve your principal residence, or to refinance debt incurred for those purposes. Thus, even debt incurred as a result of a refinance loan will qualify for this exclusion, but only to the extent that the principal balance of the old mortgage would have qualified. In other words, if the debt forgiven was a result of a short sale of your qualified principle residence, and you never refinanced, you will qualify for the tax relief. If, however, you took out a refinance loan on your principal residence, you will qualify for tax relief only up to the principal amount of the original mortgage. This is a very important consideration and one that is overlooked by many so- called experts. Debt forgiveness on second homes, rental property, business property, credit cards or car loans does not qualify for the tax-relief provision of the Debt Relief Act. 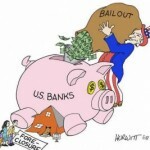 The Debt Relief Act of 2007 is set to expire at the end of 2012. Keep in mind, however, that not all states recognize the debt relief act and you should always check with a qualified tax professional prior to agreeing to a short sale. Given the recent popularity of short sales, it bears mentioning that some states, such as California and Arizona, are non-recourse states, meaning that forgiveness of debt in non-recourse states generally does not result in taxable income. The lender’s sole recourse would be possession of the home, not repayment of the loan. This is not the case in Massachusetts. Massachusetts is a recourse state, meaning that lenders have the right to seek a deficiency judgment against a homeowner who defaults on a loan obligation. Thus, the lender will decide to either pursue the deficiency judgment against the homeowner or they will agree to cancel the remaining debt. If they choose to cancel the debt, the former homeowner will suffer tax consequences as a result of a short sale unless they provide the IRS with proof that they qualify for one of the aforementioned tax exemptions. Massachusetts does not recognize the Mortgage Debt Relief Act, therefore, in order to qualify for a tax exemption following a short sale you will likely have to prove insolvency or file for bankruptcy. For this reason, you should always consult with a licensed attorney and/or tax professional regarding your specific situation in order to determine whether a short sale will result in tax liability or legal consequences. In summary, the general rule states that a homeowner will suffer tax consequences following a short sale because the IRS treats the forgiven debt as taxable income. The only way to avoid tax liability following a short sale is to qualify for the principal residence exemption, prove insolvency or file for bankruptcy. Regardless, the important thing to remember is that all of the exemptions require the homeowner to take affirmative action on their subsequent tax returns. Your lender is required to issue a 1099-C Form following a short sale. It is your responsibility, however, to prove to the IRS that you qualify for a tax exemption by filing Tax Form 982 . Tax liability is not negotiable, you either qualify or you don’t. You should never, under any circumstances, take a lender’s word that a short sale will not result in tax consequences. In fact, if the lender is agreeing to waive their deficiency rights, they are required to issue 1099-C stating that they canceled your debt. The IRS, in turn, will treat that canceled debt as income unless you prove to them that you qualify for an exception. Massachusetts does not recognize the Mortgage Debt Relief Act, and it is unclear to me as to whether Massachusetts recognizes the insolvency exception. Thus, in order to qualify for both a federal and state tax exemption following a short sale, you will likely have to file for bankruptcy prior to the short sale. For this reason, however, you should always consult with a licensed attorney and/or tax professional regarding your specific situation in order to determine whether a short sale will result in tax liability or legal consequences. For more tax information regarding cancellation of debt, including detailed examples, please see Publication 4681, Canceled Debts, Foreclosures, Repossessions, and Abandonments. Also see IRS news release IR-2008-17.